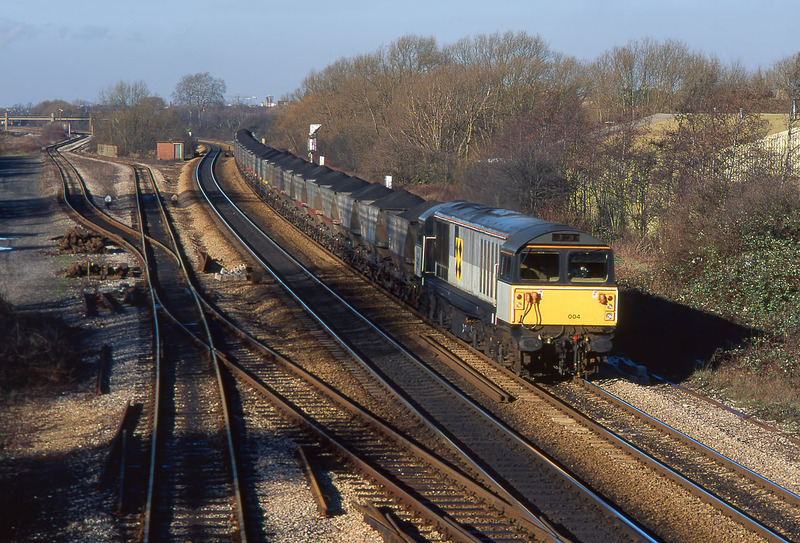 58004 passes Hinksey Yard on 19 January 1991 with the 7V65 08:25 Rufford to Didcot Power Station MGR coal train. At this time Hinksey Yard was in a hiatus, with virtually all traffic lost and only the odd rake of condemned wagons or suchlike in evidence. It has since be reinvented as a civil engineer's yard. The brick built hut in the middle distance has since been removed.